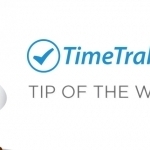 TimeTrak Mobile is a nifty on-the-go product for businesses on the move. Designed specifically for businesses with staff on-the-go, TimeTrak Mobile gives your Service Coordinators an easy-to-use tool to manage field staff. From the service coordinator direct to staff in the field, this nifty little product allows your users to keep accurate timesheets, bill time and materials used, as well as the ability to invoice the job while still on site, all from their mobile device. This end-to-end management product allows your Service Coordinators to make appointments, create jobs or tasks, or even track the whereabouts of staff members’ using TimeTrak Professional in the office to ensure optimal efficiency. 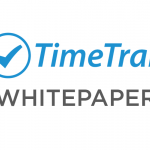 TimeTrak Mobile is a versatile product that can be scaled to fit your business and will simplify the way you do business. Accessible - can be used on any Smartphone, Tablet or PDA with Internet access. Accounting Integration - invoices can be synchronised with MYOB EXO, streamlining your billing process and saving you admin time. Accuracy - keeps accurate, up-to-date timesheets while giving you an analysis of staff billable/non-billable and non-productive time. 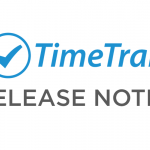 Easy to use - TimeTrak is a simple platform that is easy to use with little training required, as well as simple drag and drop time allocation. Scalable - can be tailored to suit the needs of your business, no matter the size or industry. Learn more about this product here or contact us to request a demo of this application.